Legend goes, the Island Man rose from an ancient volcano with the goal of delivering the juiciest, most delightful fruits to the world. 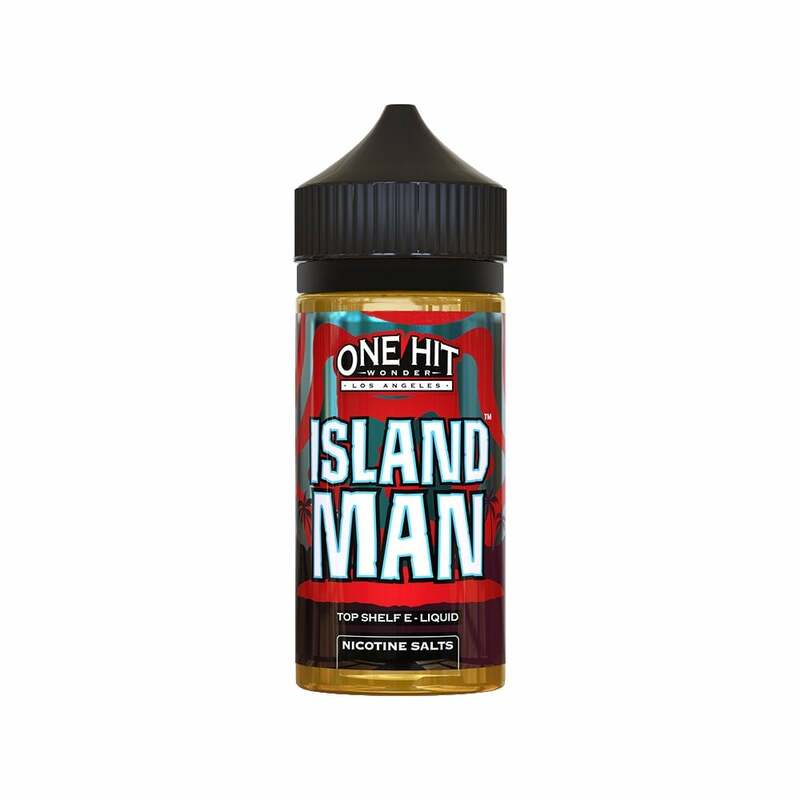 One Hit Wonder have bottled these fruits into a refreshing vape juice of tropical fruits engulfed in a wave of refreshing fruit punch. Try this classic explosion of flavor, now with the satisfying smoothness of nicotine salts. Not much vapor production, burnt up my coils on my Smok stick prince even though it says this juice is sub-ohm compatible, not very much flavor either. I wouldn't buy this again. Spot on fruit punch taste! Love it!